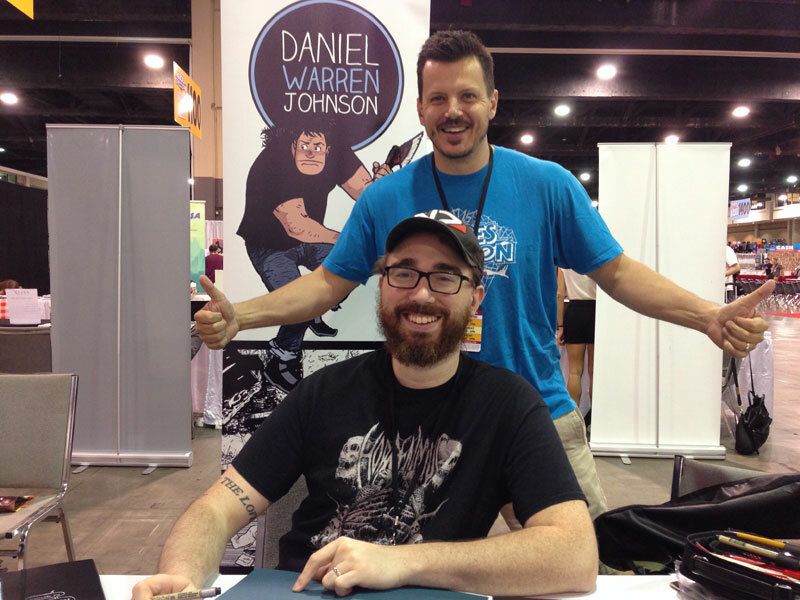 The Broken Frontier Anthology continued its tour this June with stops in both New York City and Charlotte, NC. After successful campaigns in both the Pacific Northwest and London, UK throughout March and April, it only made sense for the anthology to establish its presence on the east coast of the U.S. There were a number of contributing creators in the area, after all, and they were ready and willing to come out in support of the anthology they helped make a reality. 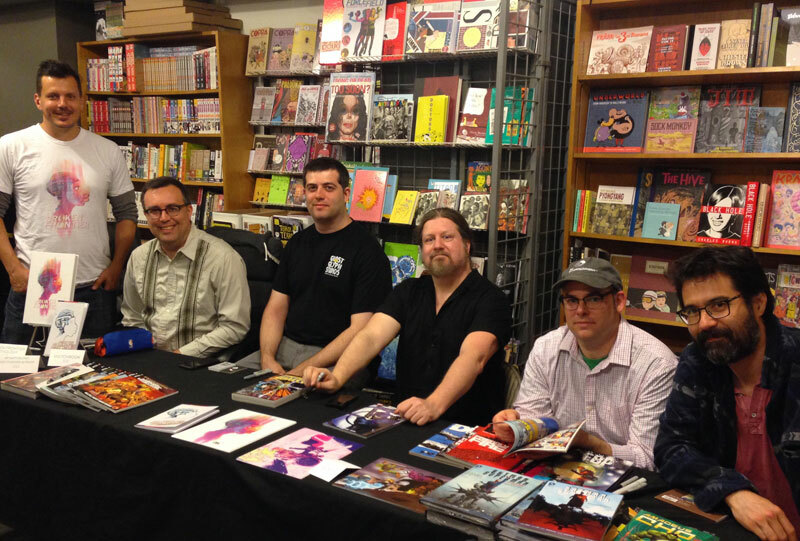 The first event was a store signing at JHU Comic Books in midtown Manhattan. 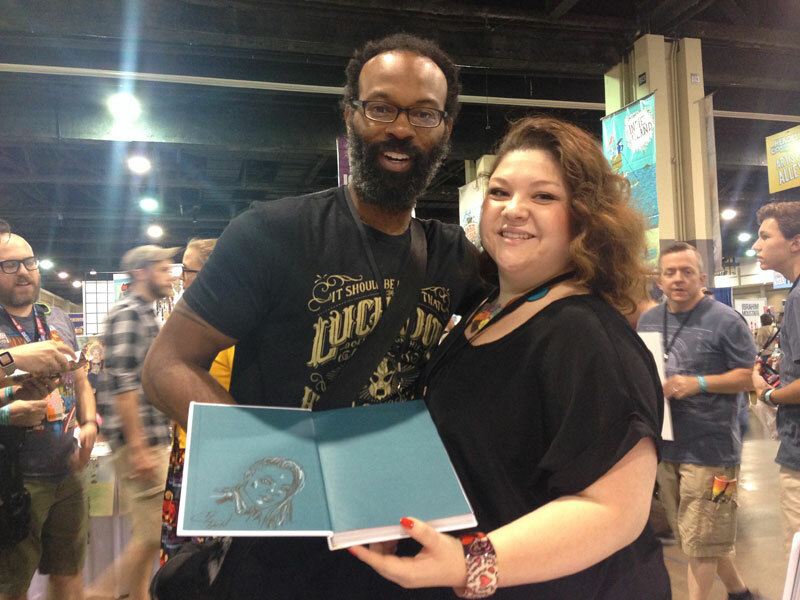 On hand to greet fans and sign books were Greg Pak, Nathan Fox, Fred Van Lente, Tom Raney, Taylor Esposito and myself. We may have even left a couple of signed and sketched books in the shop afterwards in case anyone is still looking for a copy. The next night we were back at it with the second half of our NYC doubleheader. The same group of creators made their way to the School of Visual Arts for a panel discussion organized by Nathan Fox, who is the chair of the MFA Visual Narrative program there. This event kicked off their Summer Storytellers Series. 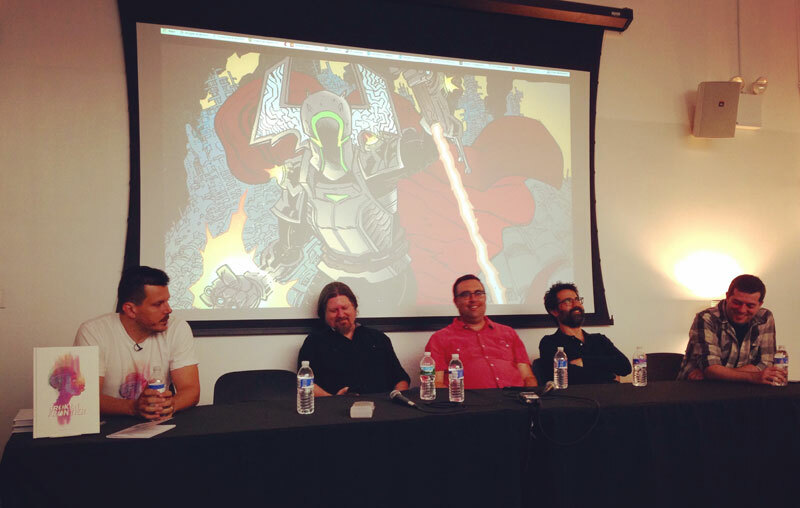 I moderated the discussion and topics ranged from putting together an anthology, running a successful Kickstarter campaign, and making the leap to creator-owned projects. Based on the questions we received afterward, running a Kickstarter campaign was the most popular topic. This worked out well because there was a ton of knowledge in the room. 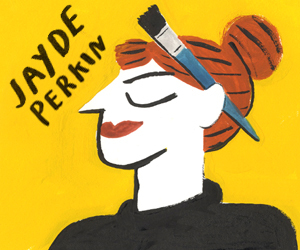 Not only had we all been through the experience of funding the Broken Frontier anthology, but many of the creators had run their own campaigns for other projects. Most notably, this included Greg Pak who not only funded books like Code Monkey Save World and The Princess Who Saved Herself through the crowdsourcing platform, but his most recent project was an advice book called Kickstarter Secrets. As you can imagine, the audience walked away feeling well informed should they ever wish to launch their own campaign. 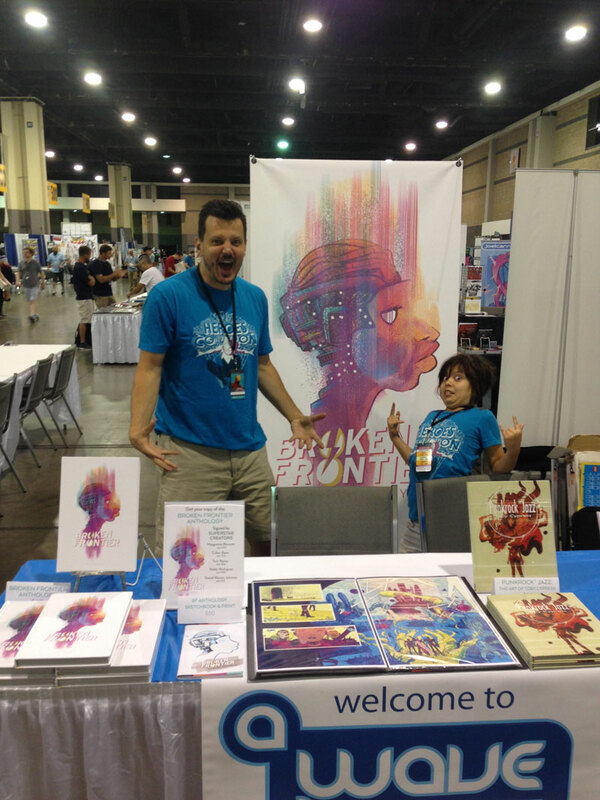 Less than a week later, I was back at it again, setting up a table at HeroesCon in Charlotte, NC with my daughter, Maddy. 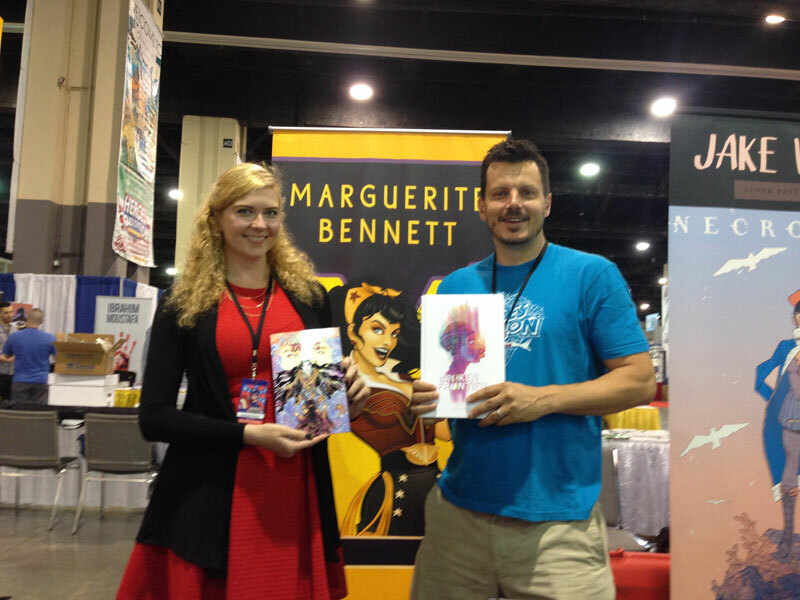 There were some big name BFA contributors at this show as well, including Cullen Bunn, Marguerite Bennett, Tom Raney, Robbi Rodriguez & Daniel Warren Johnson. 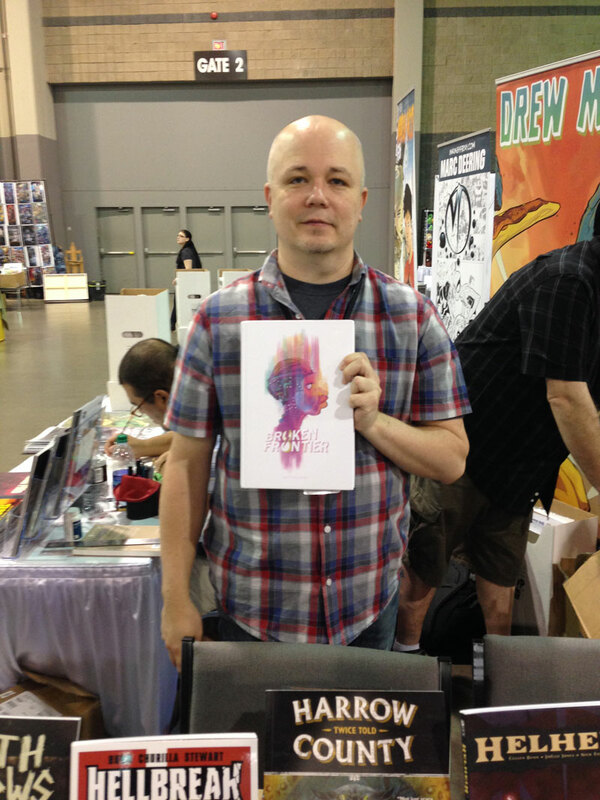 I didn’t bother to set up a signing at my booth as everyone’s tables were all pretty close to one another. I did, however, take the opportunity to post a sign letting people know where they could bring the book for additional signatures, and even handed out a map for them which included the table numbers. And of course the creators were all happy to sign all the copies brought to their table. I know because I sent my daughter around a number of times to get me some fully signed books. One of these was donated to the HeroesCon auction and went for $60, not a bad premium for 6 signatures as well as 3 quick sketches (from Robbi, DWJ and myself). The last couple of weeks were a lot of fun, but I’m ready for some rest and to enjoy the summer with my family. 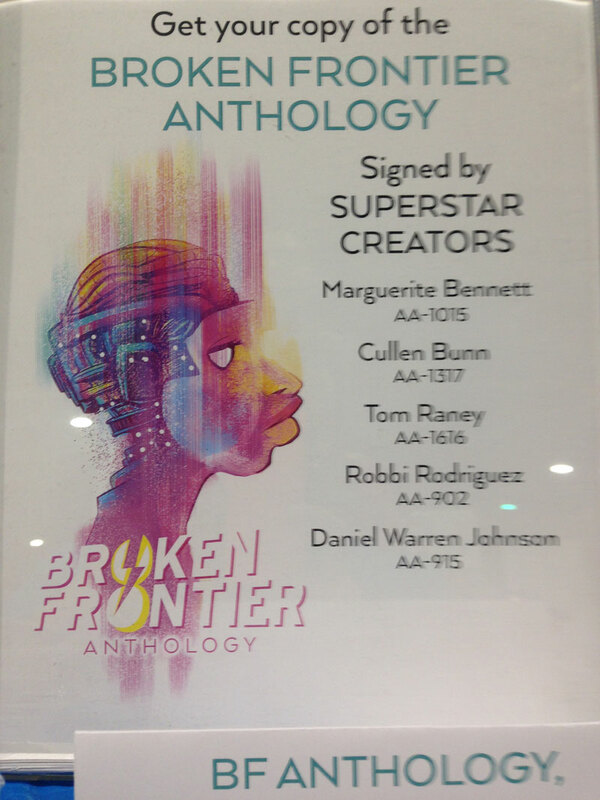 This marks the end of the tour for the foreseeable future, but if you still need to pick up your copy of the Broken Frontier Anthology, the hardcover can be ordered online here at my A Wave Blue world webstore. Digital copies are available on ComiXology.